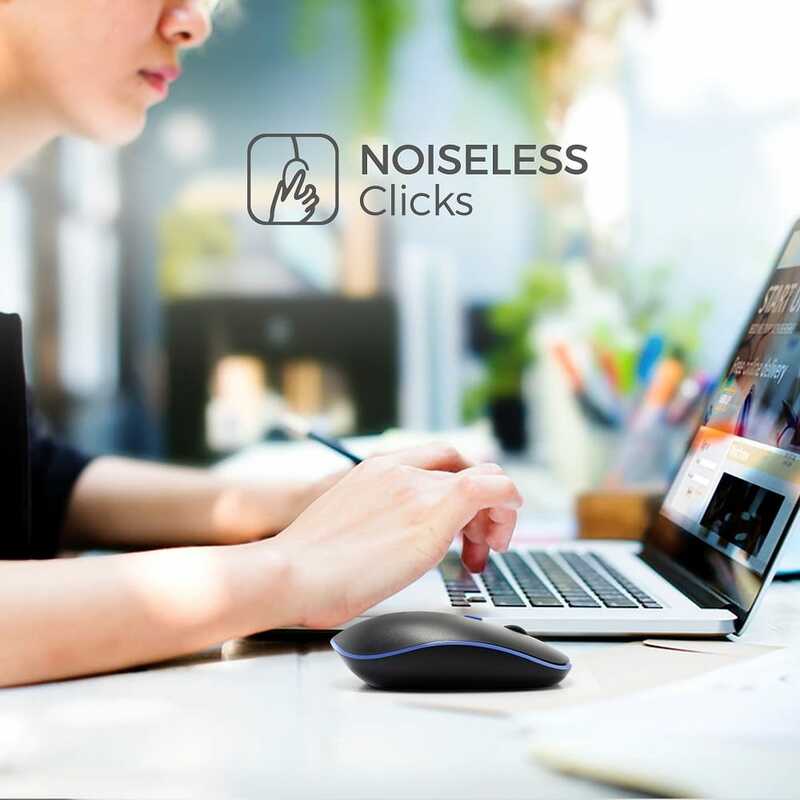 Hush Pro Air Wireless Mouse uses SenseFlow Technology to ensure a Seamless and Lag Free Wireless Performance, while the Advanced Power Saving features, and Physical On / Off Button provide optimal Battery Efficiency. 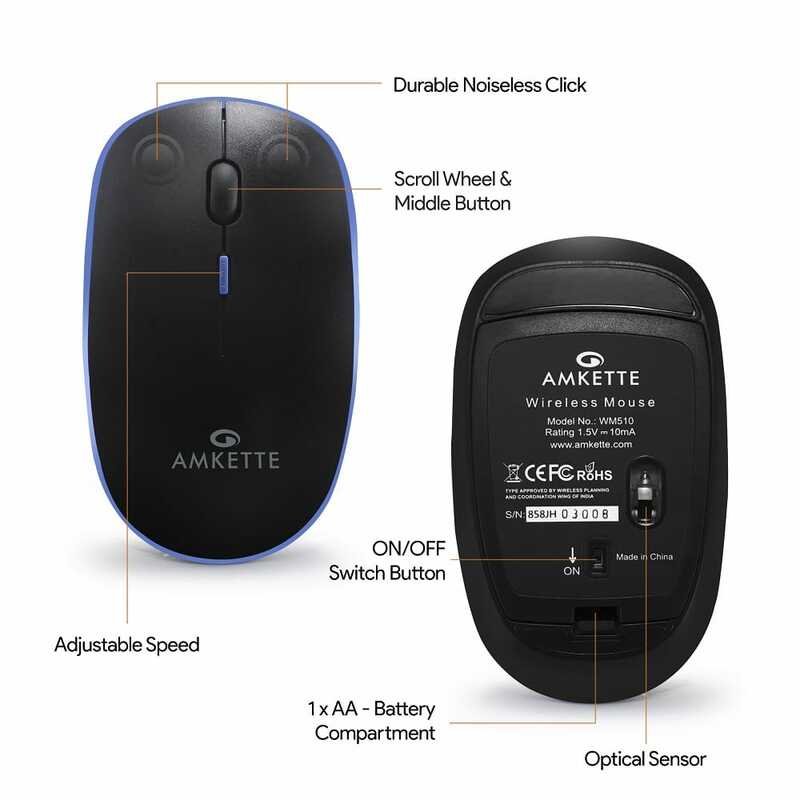 This mouse is designed with Special Silent Keys that minimizes the sound of each click by up to 90% as compared to other conventional mouse. The same secure click feel, without the noise. 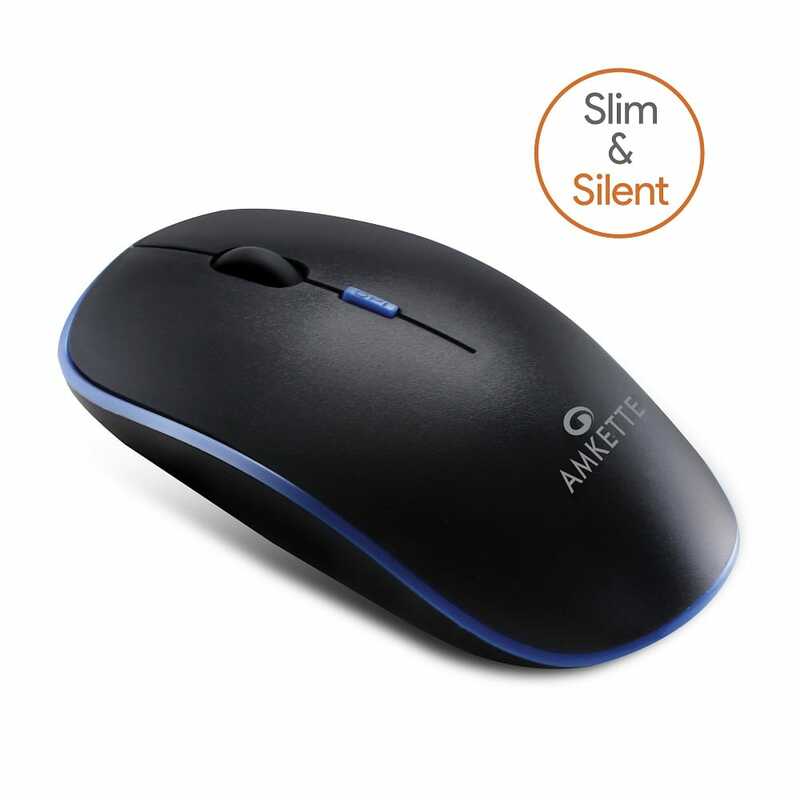 A Full-size Ergonomic shape for maximum comfort, a travel friendly slim profile and a fingerprint and sweat resistant surface, make this the ideal multi purpose Wireless Mouse. Amkette Hush Pro Air comes with a dedicated DPI adjustment button to offer you your preferred cursor speed of 800, 1200 or 1600. 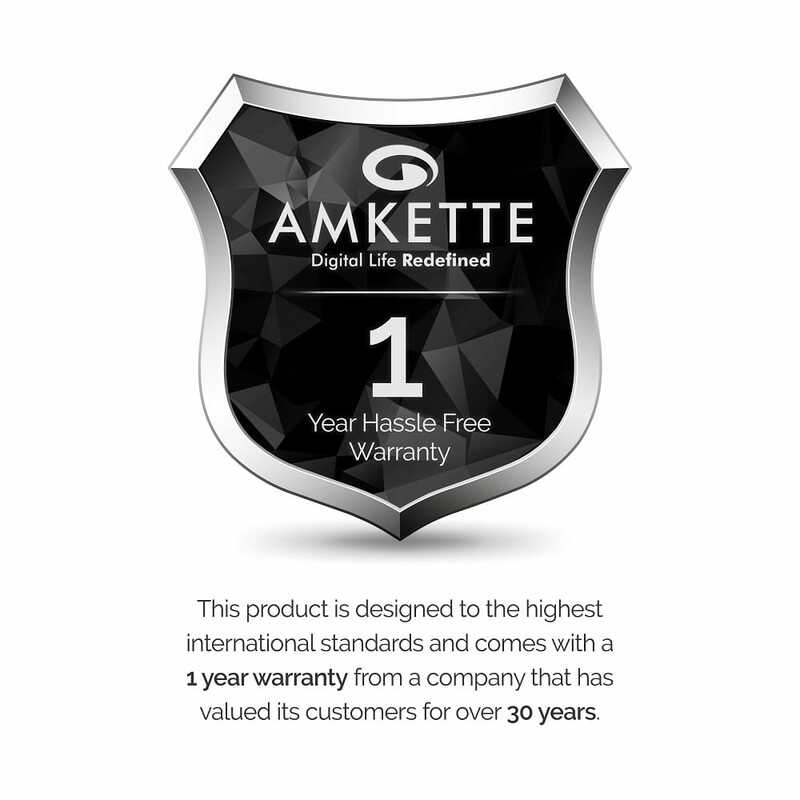 HASSLE FREE 1 YEAR WARRANTY. For any assistance, Call or Message on 9312691448. The Amkette Hush Pro Air offers the latest technology, at the best value. 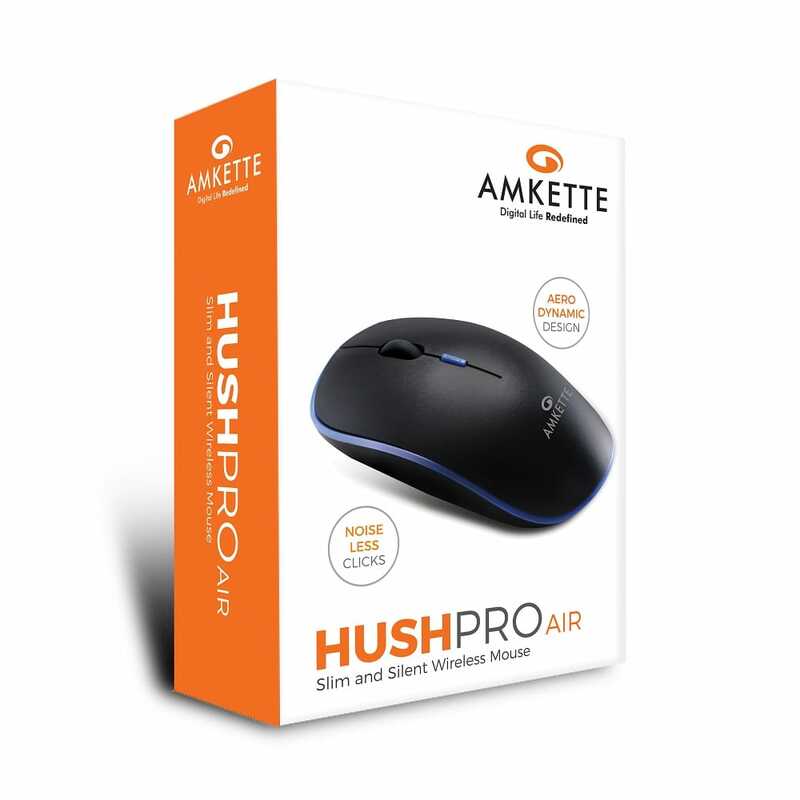 The switches used in Amkette Hush Pro Air Mouse are made of a rubber actuator that dampens both the vibration and the sound. The new switches significantly reduce the clicking sound while keeping a tactile feedback similar to that found in non-silent mouse. 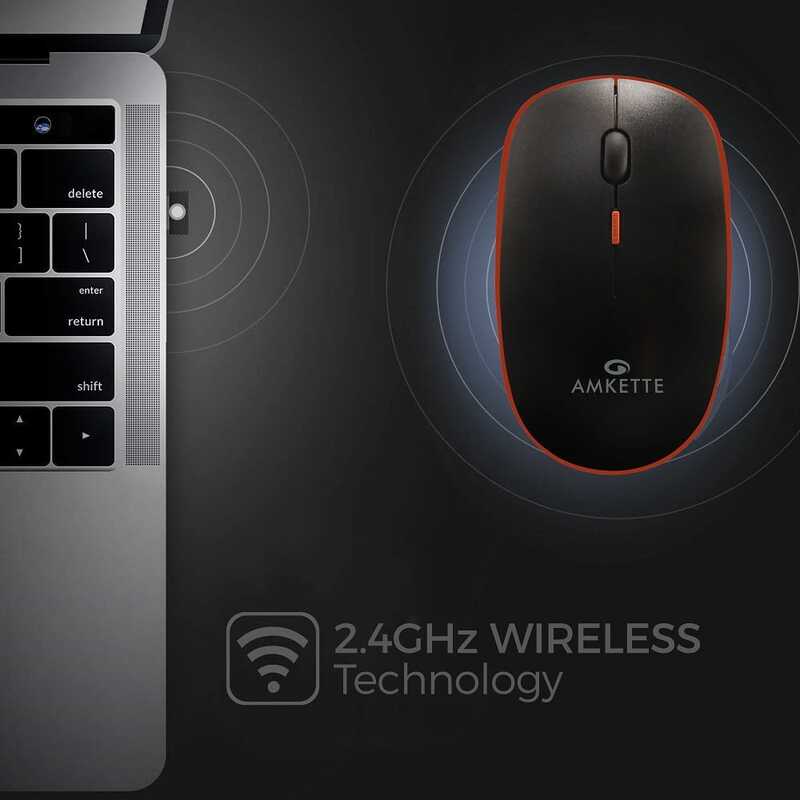 Hush Pro comes with SENSE FLOW TECHNOLOGY, to ensure a error free wireless performance.. Sense flow seamlessly jumps frequencies to keep the bits flowing in a steady manner and intelligently eliminates interfering signals from surrounding wireless. 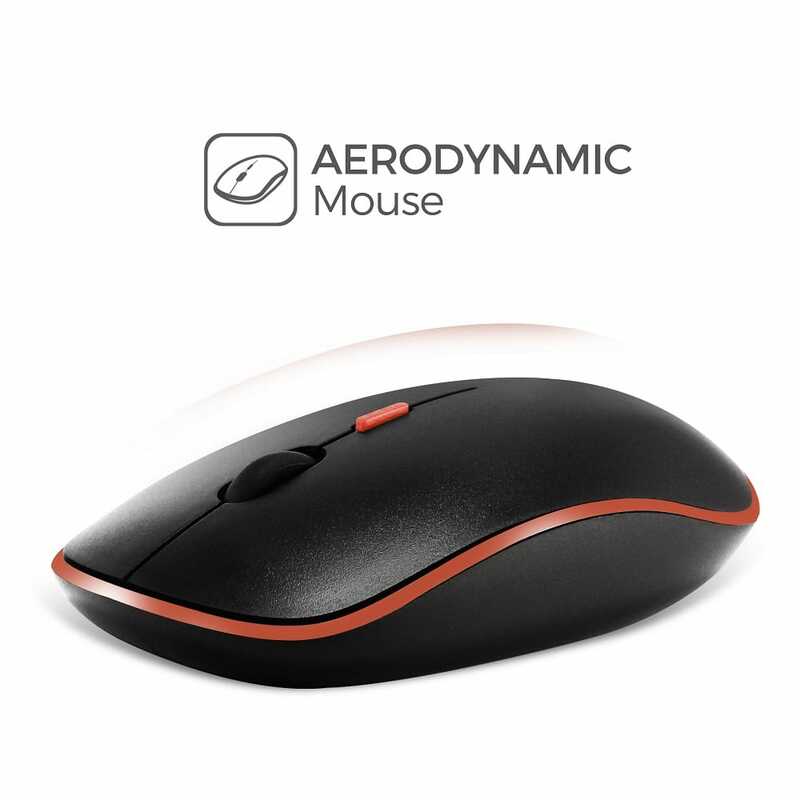 You can also select your preferred cursor speed 800/1200/1600 dpi with dedicated DPI adjustment button. Ambidextrous and ergonomic design and slip, and fingerprint resistant top surface offers more comfort and precision than your laptop’s touchpad. The ergonomic shape and the compact, portable size make the Hush Pro your perfect companion.